Clear One Max Expansion Kit. Comes with one ClearOne Max Ex without a power supply. This package is intended to be an add-on to an existing Clear One Max EX. 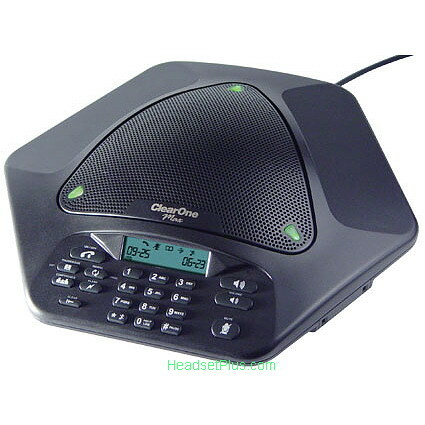 ClearOne Max EX Expansion Kit allows you expand the Max EX Conference Speakerphone by connecting additional phone units, not just microphones. This creates an even distribution of microphones, loudspeakers and controls for better sound quality and user access. No matter where participants are seated, conversations are natural and effortless. Up to four Max EX Expansion phones can be connected to accommodate different room sizes. This system includes one Max EX conference phone and connecting cable. Does not include the required base unit (sold separately).